After a years-long court battle, Apple finally got what it wanted: A federal appeals court ruled Thursday that Samsung smartphones can no longer copy certain iPhone features. In a 2-1 decision, a federal appeals court in Washington ruled that Samsung has to update its smartphones' software to remove slide-to-unlock, autocorrect and quick link software that directly mimic Apple's similar features on the iPhone. But the ruling comes long after Samsung has changed the way those features work on its smartphones. For example, you no longer need to slide a button to unlock Galaxy phones -- you can just swipe your finger anywhere on the screen. Samsung's keyboard has also been updated several times since the ruling. Samsung said in a statement that its Galaxy smartphones will continue to be sold and supported by the company. It also said it is looking for further review of Thursday's decision. The court said it had granted Apple a "narrow" ruling, saying it did not want to take Samsung's devices off the shelves. Rather, it instructed Samsung to remove the infringing features -- if there are any remaining on customers' devices -- without recalling its smartphones. Apple (AAPL) first filed its lawsuit in February 2012 -- ages ago in technology terms. (The Galaxy S II was the newest Samsung smartphone to be listed in the lawsuit when the case was filed -- Samsung released the Galaxy S6 earlier this year). So Apple won -- but not much more than a Pyrrhic victory. In the initial district court decision, Samsung was ordered to pay Apple $120 million for violating its patents -- less than a tenth of what Apple had initially asked for. It's just one of several patent cases currently being fought in courts between the two smartphone giants. 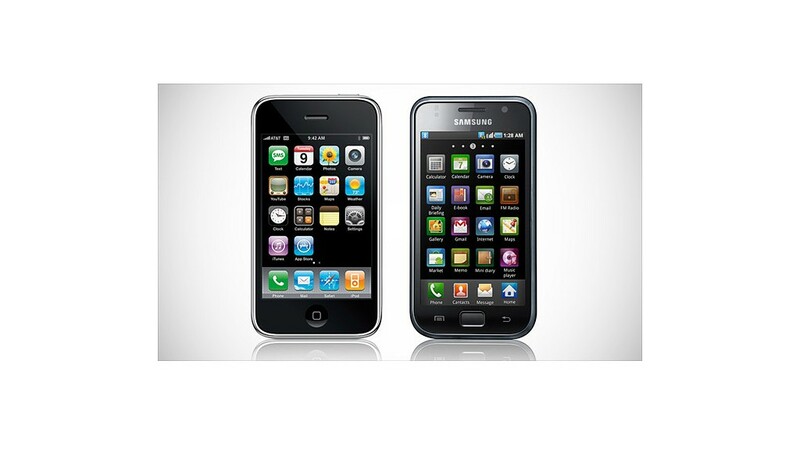 In a separate case, Apple was granted $980 million in damages after a court ruled that Samsung copied the iPhone. But an appeals court ruled that Apple could not patent the basic design of the iPhone, putting some of that award in jeopardy. The companies said last year that they will call off their patent disputes going forward -- outside the United States.